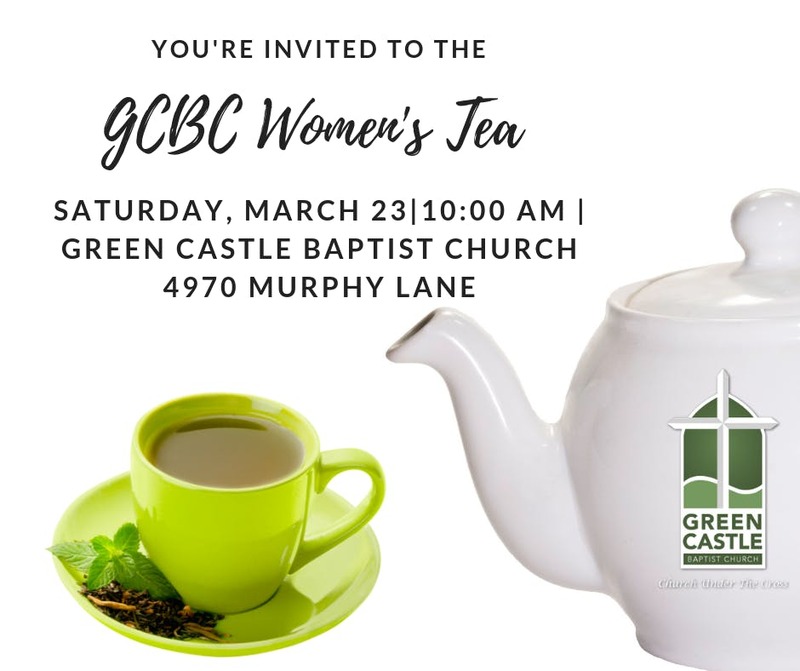 The 16th Annual Women's Tea will take place at Green Castle Baptist Church on March 23rd at 10 a.m. This is a free event open to all women in our community. The theme this year is "We’ve come this far by faith & we can’t stop now. "Hebrews 11:1. Our special guest speaker will be Rev. Harriet McElvaney of Campbell Chapel AME Zion Church, Bloomfield, Kentucky. We invite all ladies to join us for this special worship experience with a delicious tea to follow. Register online today to reserve your spot and invite your friends and family.